Pixel Perfect™ is one of the revolutionary skin treatments given by DermaClinix, that offers you the chance to look younger, healthier and let your inner radiance free. 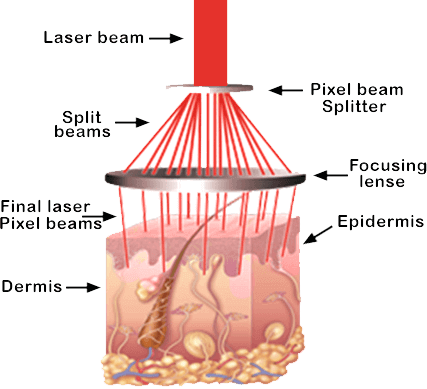 The laser treatment can clear years of sun damage such as age spots, fine lines, wrinkles & scars. Pixel Perfect can also shrink the appearance of pores and smooth out acne scars, giving you a soft and flawless skin of years gone by. In other words, Pixel Perfect™ can help to transform blotchy, spotted and pockmarked skin into the radiant glow of one’s youth. We use advanced techniques to provide the best skin resurfacing treatment in Delhi for age spots, fine lines, wrinkles and scars.